Does applying for a Visa Credit Card from Standard Bank require a complicated application process? Long ago yes, but not today. Thanks to the Internet, you can apply online, making it convenient and easy for you to get a card that allows you to pay for goods in millions of outlets worldwide. In this article, we will have a look at an online Visa credit card application. Standard Bank’s century-and-a-half history has put them as one of South Africa’s largest financial services groups. Today the bank operates in more than 20 African countries and whether you want to lend money, transact or save, the bank has the financial solution for you. Standard Bank offers many products and services, and one of these is their visa credit card. Shopping at stores with a Standard Bank credit card is always safe because of their secure chip and PIN security features. Their credit cards come with lots of free features such as lost card protection, Internet banking and more. When you apply for a Visa credit card from Standard Bank, there are 2 ways to apply. You can either print the application form and fax it to Standard Bank or you can apply online. There are, however, many people who wonder if it is safe to apply for a credit card online. They wonder about their personal information and how safe it is. You can be sure that the online application process is safe as Standard Bank uses secure encryption technology to ensure your personal information is secure. Once you’ve submitted your Standard Bank application form, Standard Bank will be in touch with you. They promise to get back to you within 5 business hours to discuss your options. They will want a copy of your ID, proof of income (the most recent 3) as well as proof of residence. 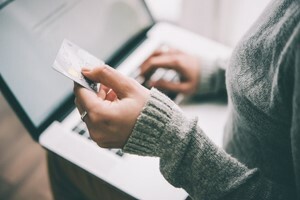 Before you apply for a new credit card, you need to know that there will be an inquiry on your credit report as they want to see what your credit history is like. Say what you like, online research is key to finding the best credit card for you. Once you’ve found it, the next best thing is applying online for a card that is tailored to your credit score, your budget and lifestyle. The benefit of applying for a credit card online is that it is quick. Standard Bank knows that because the vast majority of credit card applications are made online, they have to offer this facility as well if they don’t want to lose their customers in this very competitive marketplace.